Here is this weeks gallery. 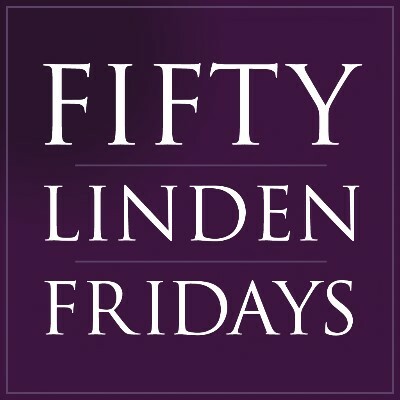 We will update as they rest are out, but there is plenty for you to shop for already! 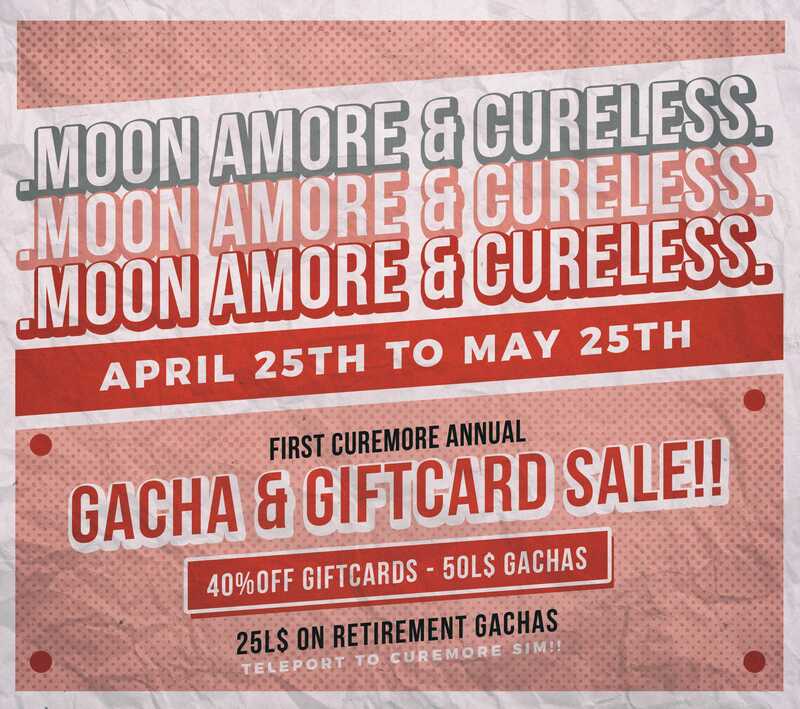 Moon Amore and Cureless are having a month long sale on Giftcards. As well as that, selected Gachas are discounted to L$50, there is a new Group Gift, AND one gacha has been discounted to L$25 during the sale as after it will be retiring. Avi-Glam is retiring their skin line, and just their skin line so don’t worry, they are continuing to make their beautiful eyes. If you are needing a new skin or just fancy a change then run on down and take advantage of the low low prices. Grab ’em before they are gone! Another Wednesday, and more Sn@tch! Ok look at this weeks cheapie ok, and just imagine it on a mermaid just in sim for summer! Yes yes! And you could even use the Bikini Top in the riots for a mermaid as well, woohoo! 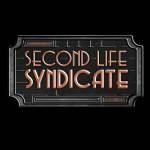 Second Life Syndciate is proud to present our first crate, Upgrades 1.0! 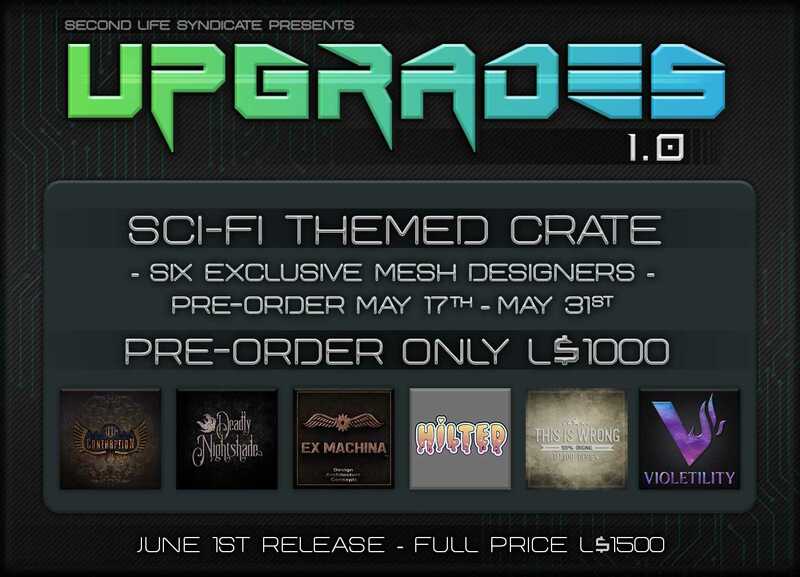 A Sci-Fi themed crate featuring 6 exclusive designers with original mesh.